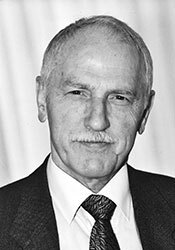 WHO/Europe is sad to announce that Dr Jo Eirik Asvall, Regional Director for Europe from 1985 to 2000, died on 10 February 2010. Readers can pay tribute to Dr Asvall by e-mail (condolences@euro.who.int). Born in 1931 in Norway, Jo E. Asvall qualified as a doctor in 1956. He wrote his first application letter to WHO two years later and was among 10 students chosen for malaria eradication courses in Latin America in 1959. Dr Asvall worked in Ecuador, Jamaica and Mexico, before moving to West Africa where he headed up WHO’s malaria team for Benin, Cameroon and Togo. Returning to Norway in 1963, he took up a hospital post and became increasingly involved in clinical management and hospital administration. He became director of the hospital department at the Norwegian Ministry of Social Affairs in 1973 and was key to formulating a new Norwegian national health policy, which was implemented in 1975. A year later he was a delegate to the World Health Assembly; then he joined the WHO Regional Office for Europe, where he served as Officer for Country Health Planning until his appointment as Director, Programme Management in 1979. Dr Asvall served as WHO Regional Director for Europe from 1985 to 2000. His time as Regional Director was spent promoting and implementing the Health for All strategy in the Region. This strategy called for a fundamental change in countries’ health development and outlined four main areas of concern: lifestyles, risk factors affecting health and the environment, the reorientation of health care systems and the political, management, technological, human resources, research and other support necessary to bring about the desired changes in the first three areas. Remaining active during his retirement, his last public engagement was at the WHO Regional Office for Europe in January 2010. “WHO was his life, his world, his passion. He was a true leader in European health policy and public health. We owe him so much,” said WHO Regional Director for Europe, Zsuzsanna Jakab. Dr Asvall is survived by his wife, Kirsten Staehr Johansen.